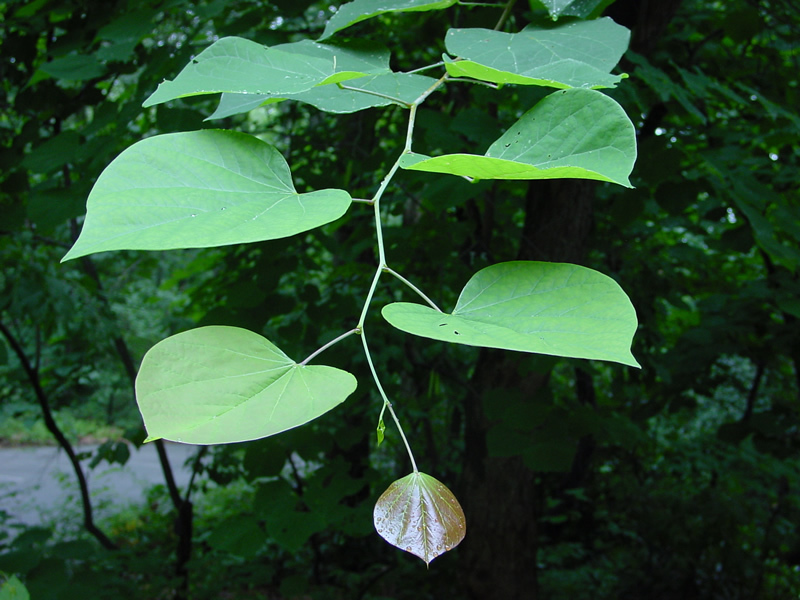 The eastern redbud is a small, deciduous tree reaching heights of 20 to 30 feet with an equal spread. It is often multi-stemmed and has heart-shaped leaves, but perhaps its most noteworthy attribute is the abundance of pinkish flowers that adorn the branches before the leaves appear in the spring. There are, however, several cultivars that are prized for other attributes including the purple-leaved ‘Forest Pansy’, the variegated ‘Silver Cloud’, and the white-blooming ‘Royal White’. 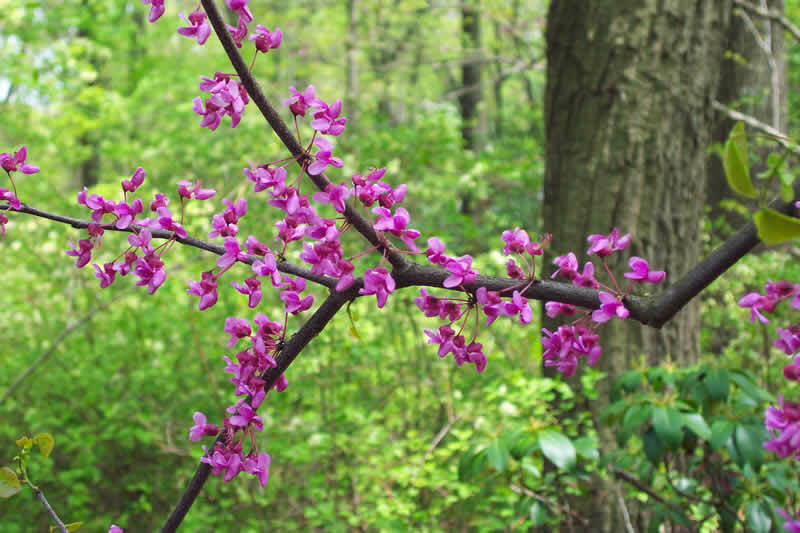 Able to grow in both sun and shade, redbuds are effective as forest edge trees or front yard specimens. They are somewhat susceptible to insect and disease pests but can be kept healthy with regular watering and fertilization.